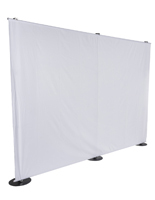 These booth backdrops measure 121.5" wide and are designed for use as back walls within a trade show presentation or a wedding. 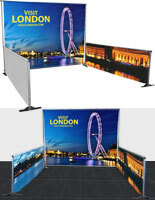 The fabric displays may also be used as the background in a photography studio or even on stage during a speech or a performance. 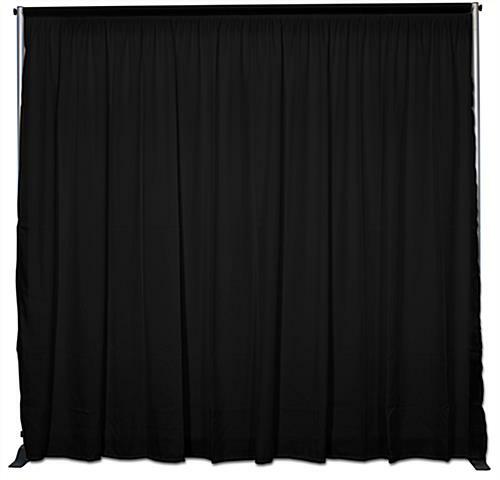 The booth backdrops consist of an easy-to-assemble metal frame and a black, fire-resistant fabric drape. 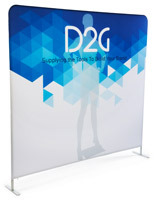 Included with every unit purchased are 2 carrying bags for effortless transport and storage in-between uses. 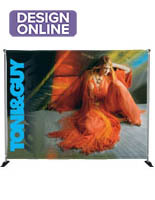 The larger bag holds the broken-down metal frame, while the small bag keeps the fabric curtain protected during travel. 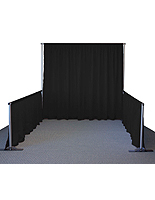 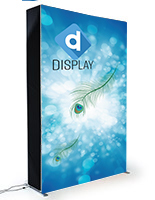 These pipe-n-drape booth backdrops gives users the ability to hide unsightly backgrounds to create more successful presentations. 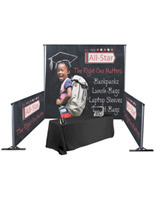 55.1" x 23.6" x 4.0"
5.5" x 2.3" x 0.375"